One week after Judge Marilyn Hall Patel decisively threw out its antitrust claims against the studios and DVD CCA in the RealDVD case, RealNetworks appears to be imploding. On Wednesday COO John Giamatteo abruptly left the company, and on Thursday founder Rob Glaser stepped down as CEO (he’ll remain chairman). Although Glaser’s move had apparently been planned for some time, it came sooner than he expected and appears not to have been voluntary. While it’s possible the timing of the events is just a coincidence I wouldn’t bet on it. Investors cheered the news of the Glaser move, sending the stock soaring 17 percent in its wake (ouch! ), presumably in anticipation of a new strategic direction for the company–one not quite as provocative and confrontational with respect to the content owners. The Authors Guild is not impressed with Amazon’s opposition to the Google Books settlement. Amazon’s hypocrisy is breathtaking. It dominates online bookselling and the fledgling e-book industry. At this moment it’s trying to cement its control of the e-book industry by routinely selling e-books at a loss. It won’t do that forever, of course. Eventually, when enough readers are locked in to its Kindle, everyone in the industry expects Amazon to squeeze publishers and authors. The results could be devastating for the economics of authorship. Amazon apparently fears that Google could upend its plans. Amazon needn’t worry, really: this agreement is about out-of-print books. Its lock on the online distribution of in-print books, unfortunately, seems secure. Quite an interesting battle is taking shape in the suddenly hot world of e-books. For many, of course, “e-books” are synonymous with Amazon and its Kindle device. But over the past few months, several would-be challengers to Amazon’s Kindle kingdom have emerged to do battle. In July, No. 1 brick-and-mortar bookseller Barnes & Noble unveiled a revamped online e-bookstore and announced a partnership with e-book reading device maker Plastic Logic, which plans to introduce a thinner, touch-screen version of an e-reader early next year. A few weeks ago, Sony entered the fray with a pair of new e-book readers and its own revamped e-bookstore. (Technically speaking, Sony has been in the e-book business longer than Amazon has, but for reason known only to Sony it seemed to be trying to keep its involvement a secret until this month.) Last week, Sony announced a third e-reader, this one with wireless connectivity to allow Kindle-like direct-to-device downloads (no need to stop at the PC first for transfer to the handheld device). The big news in Sony’s announcement, however, was its embrace of EPUB, a series of open technical standards for the file structure, packaging and publishing of e-books over digital networks developed by the International Digital Publishing Forum, an industry group, and supported by a number of major publishers. Last week, Sony’s embrace of EPUB was seconded by Google, which announced it would use the standards to distribute (at no cost) the nearly 1 million public domain works it has compiled in digital form as part of its Library of the Future project (many of the works were originally digitized by the non-profit Project Gutenberg). In my last post, I discussed the Hollywood studios’ long history of being willing to frustrate consumer demand in order to maximize their own profit, or at least to do what they believed would maximize their profit. For decades, in fact, it defined their basic business model: starve demand in one window or market to boost it in another. In ordinary businesses, continuously frustrating consumer demand would not be a very effective business plan. But under the artificial conditions of the copyright monopoly it has generally worked for the studios over the years. When some innovator came along and found support in the Copyright Act for a model to meet consumer demand without giving primacy to studio profits, such as video rental stores, the studios’ first instinct has been to suppress it, often by litigation or seeking new legislation, or failing that through monopoly pricing. It’s a deeply ingrained habit. From the bunker of their copyright monopoly, however, the studios have often misidentified their own self-interest, at least at first. The video rental market, after all, went on to become hugely profitable for them, despite their unease with it. Yet the old habit is stubborn. DVD, for instance, was the most successful format for distributing movies to the home ever devised. And it achieved that success largely by overcoming the studios’ historical ambivalence and meeting consumer demand head on. 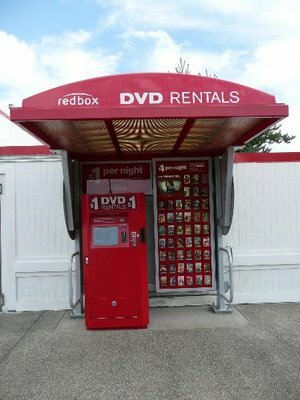 It didn’t eradicate the rental market but by meeting consumers’ reasonable expectations for purchasing a movie–in terms of price, convenience and quality–DVDs fundamentally changed consumer behavior to the benefit of the studios. In thinking some more about Judge Richard Posner’s controversial suggestion the other day that Congress might need to expand copyright law to prohibit linking and paraphrasing news stories without permission in order to “save” newspapers from the ravages of bloggers and aggregators, I was reminded of a talk given last month at the World Copyright Summit by Columbia University law professor Michael Heller. Heller is the author of The Gridlock Economy, which describes a phenomenon he calls the tragedy of the anti-commons. The coinage is a twist on the classic problem in economics known as the tragedy of the commons, in which resources held in common are notoriously over-used and under-developed economically because everyone has an incentive to use as much of the common resource as possible and no one has incentive to invest in its long-term preservation and development. The solution, in classic economic theory, is property rights. Allow individuals to have private property rights in the resources — i.e. the right to exclude others from using it — they will have incentive to invest and develop the resource, ultimately making the fruits of that development available to others at a profit through the market. In theory, everyone wins. The idea has formed the intellectual foundation for much of Western, and in particular American, economic policy, which has been heavily biased in favor of extending private property rights wherever possible as a mechanism for promoting the general welfare. In general, more property rights have been viewed as essential to increasing private investment and ultimately wealth creation. Intellectual property policy has been no exception to the rule, as Congress’s repeated extension of term of copyright protection makes clear. Heller argues, however, that there is obverse to the classic problem, and it arises when too many individuals claim property rights in the same thing, or where rights are highly fragmented. If 100 individuals each has a property right in a resource, and any one can prevent its use by withholding consent (or demanding too high a payment) the resource does not get used and wealth is not created. This is the tragedy of the anti-commons. In his book, Heller recounts the history of shipping along the Rhine River at the time of the Holy Roman Empire. During the Middle Ages, merchant ships could travel the 90-mile length of the Rhine from Bonn to Bingen safely by paying a single modest toll to the emperor for protection. By the 13th Century, however, as the empire weakened, freelancing barons — the original “robber barons” — began building their own castles along the river and imposing their own tolls on passing ships. Eventually, the tolls got so high and so burdensome that boatmen stopped using the Rhine to transport goods and commerce along the spine of the old empire collapsed. A surfeit of property claims, Heller argues, can destroy markets and lead to a net decrease in wealth. It can also act to prevent the development of new markets. Heller relates the story of a major pharmaceutical company that developed a compound its researchers were convinced would be highly effective against Alzheimer’s Disease. Before they could begin testing it in earnest, however, the company needed to secure the rights to dozens of separate biotech patents owned by dozens of individuals or entities. Unable to secure them all on reasonable terms the company eventually gave up and reallocated its research budget to developing spin-offs of existing drugs for which it already controlled the intellectual property rights. The Alzheimer’s drug was never brought to market. Anyone who has ever tried to license music for novel or innovative uses will be familiar with such rights “gridlock,” as Heller terms it. 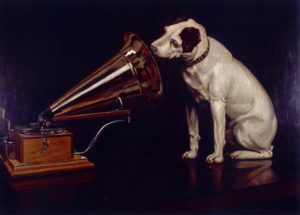 With rights highly fragmented among composers, publishers, recording companies and artists, securing the necessary cooperation from each on reasonable terms has daunted even such formidable innovators as YouTube, which remains in litigation with music publishers over the use of recorded music in home-made videos uploaded to the Web site. Heller’s analysis is not completely on point for Judge Posner’s plan for saving newspapers. Posner is not suggesting fragmenting rights, or creating a new class of rights holder but investing existing copyright owners with additional rights. But it serves as a useful cautionary tale about the potential unintended consequences of blindly (ideologically) ratcheting up property rights to spur wealth creation. Especially at a time when wealth creation is less dependent on the accumulation of market power and production efficiencies and more on innovation and the transformation of industries. As I argue in my previous post on the subject, the fundamental problem facing newspapers today is not insufficient property rights, it is the structure of the industry and an (probably) irreversible shift in reader behavior. Simply investing publishers with additional intellectual property rights –by itself– will do little to address the industry’s underlying problems, let alone advance any reasonable public policy goal. You could jail every blogger tomorrow and outlaw every search engine and newspaper publishers would be no better off than they are today. Their problems are the loss of monopoly rents from advertising and the legacy cost structure those rents used to pay for. Those problems weren’t caused by linking (or paraphrasing), and they won’t be solved by turning the linked structure of the Internet into a an anti-commons. The Supreme Court’s denial of cert. in the Cablevision remote-DVR case has launched countless column inches of commentary and analysis already, much of it focused on the problems it poses for the Hollywood studios and TV networks worried about its impact on ad-skipping (see here, here and here). But the studios and networks aren’t the only losers in the case. By letting the Second Circuit’s opinion stand, at least for now, the court has dealt a serious set back to the designs of the performance rights societies like ASCAP and BMI to bring cloud recording and playback within the scope of public performances subject to performance royalties. According to the plaintiffs in the Cablevision case, the playback of programs stored in MSO’s head-end servers constituted a performance of the work by Cablevision that was not authorized by its basic distribution agreements with program provided and thus needed to be separately licensed. In sum, we find that the transmit clause directs us to identify the potential audience of a given transmission, i.e., the persons “capable of receiving” it, to determine whether that transmission is made “to the public.” Because each RS-DVR playback transmission is made to a single subscriber using a single unique copy produced by that subscriber, we conclude that such transmissions are not performances “to the public,” and therefore do not infringe any exclusive right of public performance. We base this decision on the application of undisputed facts; thus, Cablevision is entitled to summary judgment on this point. In other words, according to the Second Circuit, there is indeed such a thing as a non-infringing private performance of a work transmitted over the Internet. Assuming the reasoning applies to musical works as well, the ruling is going to make it much harder for ASCAP and BMI to compel providers of online music lockers and other types of user-directed cloud storage facilities to take out licenses and pay royalties on transmissions. The copyright industries had high hopes for France’s three-strikes law. At the World Copyright Summit in Washington last week, speakers had nothing but praise for the government of President Nicolas Sarkozy, who championed the law and railroaded it through the legislature. And they were crushed when, on the second day of the conference, the French Constitutional Council threw out the new law’s critical third-strike–government-ordered banishment from the Internet for those caught repeatedly downloading copyrighted content illegally–on grounds that the extra-judicial procedure the law created was a violation of free speech, the presumption of innocence and due process. The judge who convicted The Pirate BayFour, Tomas Norstrom, was not biased, as defendants charged in their appeal, according to the Stockholm District Court on which he sits. In a filing with the Svea Court of Appeal, which is hearing the case, the chief judge of the district court argued that Norstrom’s membership in several organizations that take pro-copyright stands was merely for educational purposes, to help keep abreast of copyright legislation, and not an indication of bias. The chief judge, Lena Berke, also rejected charges that Norstrom had been hand-picked for the case, rather than presiding as a result of random selection, as is the norm.